The increased cross section and size of the column gives added stability up to 600mm and this theme is continued with revised axis carriages that also deliver increased reliability. The mechanical axis brake and control system have been completely updated from the previous model and finally, and most noticeably, the original pendant & operator panel are now combined in to one single touch screen system that is located away from the camera and column. The latest E460N Tool Presetting machine has been developed as the second level option for our new generation of advanced tool presetting machines. Designed to be bench mounted the E460N features a ground granite base and column, stainless steel construction and ergonomic design combined with a TFT 15” colour touch screen. The Touch Screen provides full operator control and selection of options and functions via an intuitive menu system - these new electronics provide operational and functional simplicity that is second to none. 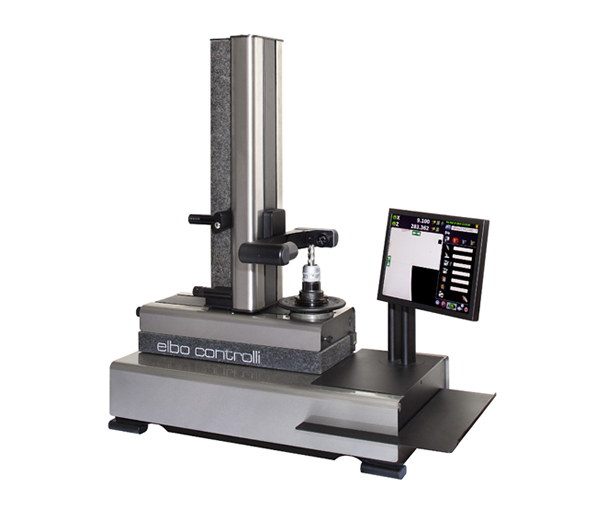 One major new feature of the E460N is the ability to rotate the spindle/tool through 360 degrees and the presetter automatically saves and displays the maximum radius/diameter and length for the tool. The precision spindle system is fully interchangeable and utilises a one piece cartridge (backward compatible with the previous E450N model) - eliminating the need for adaptors and the errors associated with their use. The new system also provides a vacuum clamping system for positive location and security of the tool location within the spindle. Also included with our E460N model is our TdSIX software package. Working via your DNC system, TdSIX converts measured tool data into CNC code for direct loading into the machine controller and associated tool offset pages. The system also includes a Post Processor utility which enables tool offsets to be instantly converted into the correct code to suit numerous CNC machine toolcontrollers. Unlike similar systems numerous Post Processor variations are included within the system as standard. All are customisable and editable to meet individual machine requirements. Machine structure in stainless-steel offering high mechanical resistance and long life. Taylor Hobson res. 1 μm/Mt. electronic millesimal level. max run-out error < 4μm. Double vault arc prismatic slideways: 2 for X axis slideways, 1 for Z axis slideway. 3 x Double re-circulating ball bearing slides, lubricated for life (preloaded slides/slideways: P/H class). Pneumatic mechanical braking of the interchangeable spindle-holder rotation. C-MOS sensor – Framed image area 6.4 x 6.4mm. Episcopic illuminator with ring lens and red LED’s; diascopic illuminator with red, puntiform light LED. TFT 15” colour Touch Screen. Tools sets and Post Processor universal generator. Magnetic chip code-holders (Balluff for example, hardware not included). Overall dimensions: Length = 1070mm, Height = 1140mm, Depth = 595mm.